We have been having an issue when converting Excel files to SpreadJS. 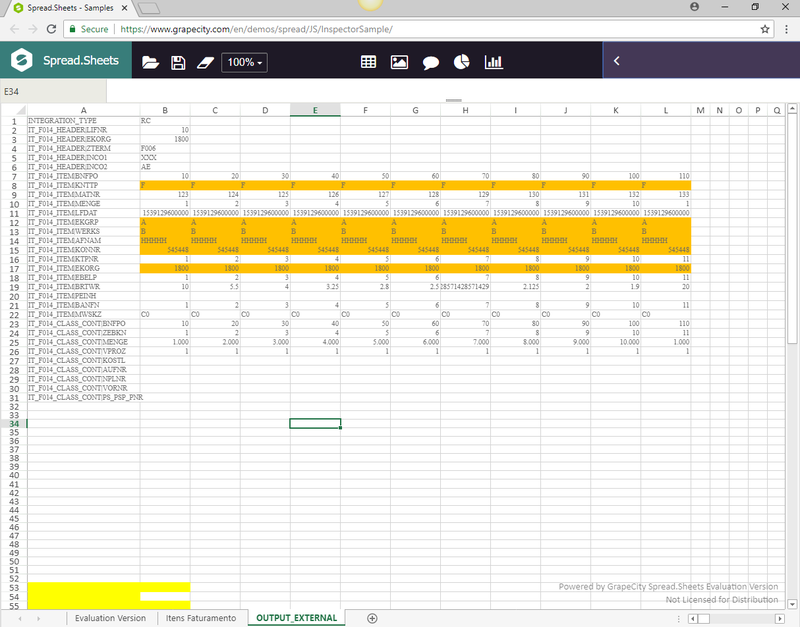 After importing the Excel file to our application, some of the formulas in the spreadsheet are lost, and a constant value is left in the corresponding cells where the formulas should be found. Also, the Excel spreadsheet has a number of named cells in it. This issue seems to be recent, and we have no record of facing it over the past months. We are using the latest version of Chrome, SpreadJS 9.40.20161.0 and ExcelIO service. There is no known issue as such. Could you please provide the Excel file to debug this issue further? Sure. Please find example attached. The last cells marked in yellow in line 8 are the ones we refer to. I tested this issue with the latest build of spreadJS(v11) and could not replicate it. Please refer to the attached image. I would suggest you to please upgrade to latest version of spreadJS.